When did this little guy get to be so BIG? It’s amazing how much toddlers grow in just a year. This new phase that he’s in right now is all about independence. Most of our days are now spent outside while he explores and plays in the water. All that playing means that he has a healthy appetite and so I keep easy to prepare snacks and meals handy at all times. 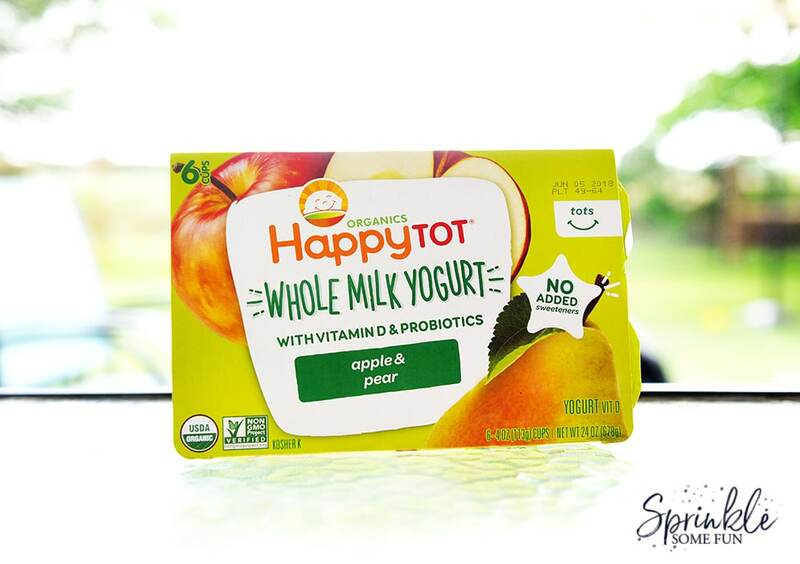 We particularly like the Happy Tot Whole Milk Yogurt Cups for an easy way to snack during the busy summer days. My little guy likes all the yummy flavors they have and I love that they have no added sweeteners. Part of his independence lately has been to insist that he feeds himself. Being outside is perfect for this! 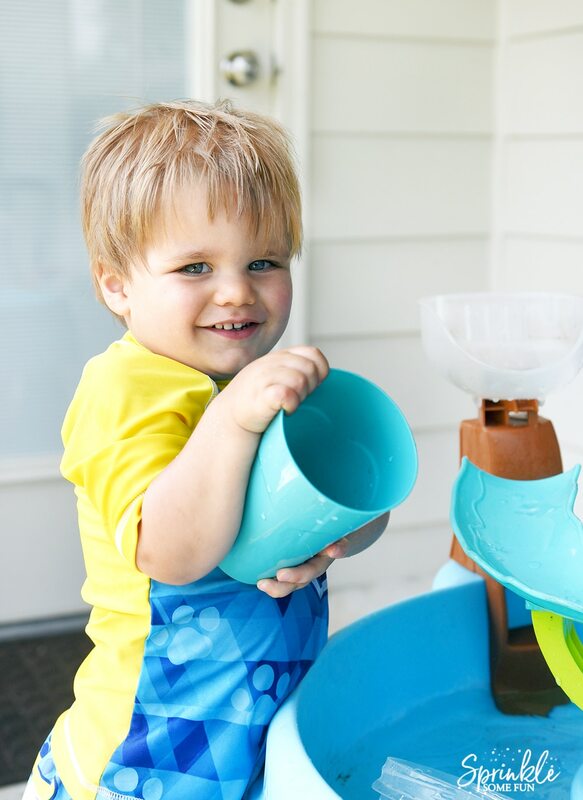 If he gets too messy… I just let him play in the water hose later. 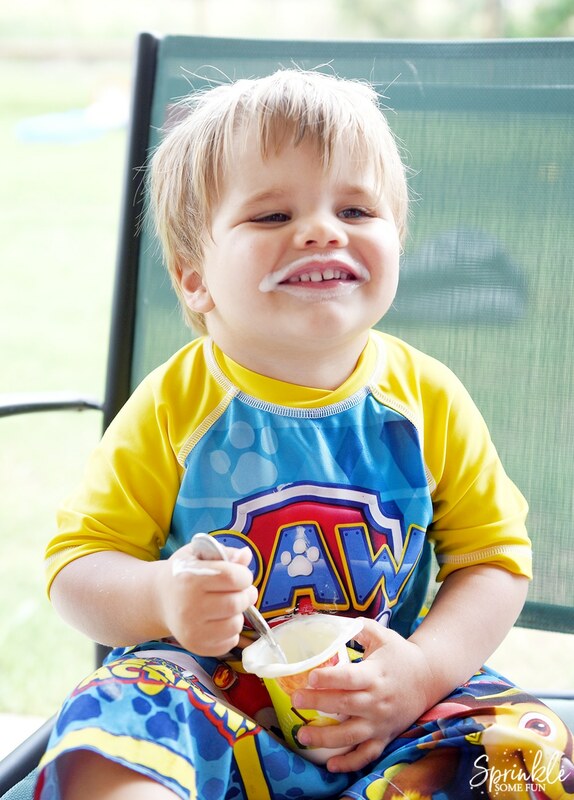 I have to admit that those messy yogurt mustaches are the best! 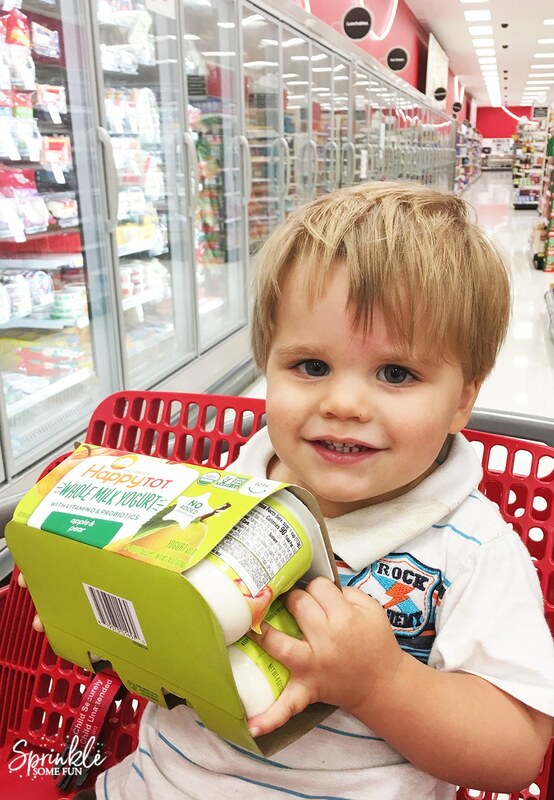 It’s easy to find the Happy Tot Yogurt cups in the refrigerator section at Target. We found the Apple Pear flavor on our most recent trip and he loves it! They also have other yummy flavors as well like Banana, Mango, & Spinach, Apple & Blackberry, and Strawberry, Banana, Oats & Chia. It’s pretty unique to find an organic yogurt with no added sweeteners. 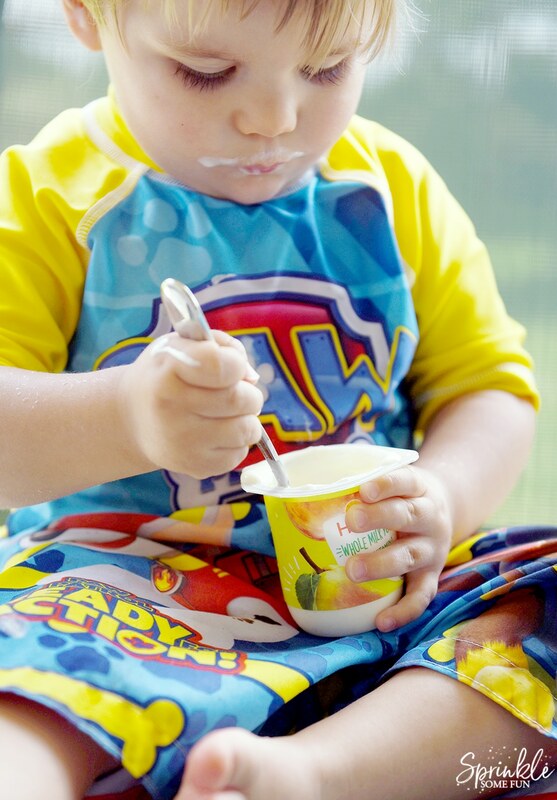 These yogurt cups make snack time fun and nourishing. It meets all my criteria for an everyday snack. You can tell he loves it! 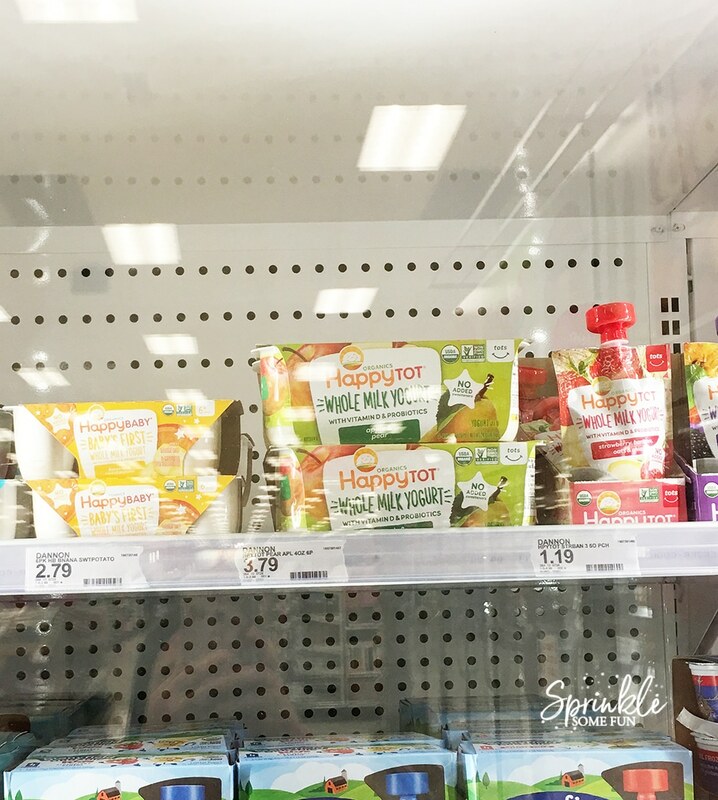 Be sure to check out the Happy Tot yogurt and try some the next time you shop at Target!